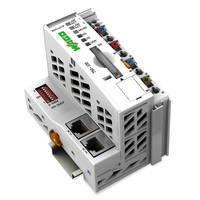 WAGO has added a new member to the PFC200 Family, the PLC with PROFIBUS DP Master interface. 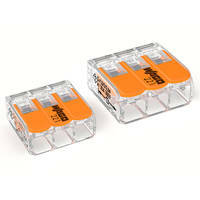 The high-performing 750-8208 retains the compact size, large memory and secure VPN and firewall of the PFC200 product line. 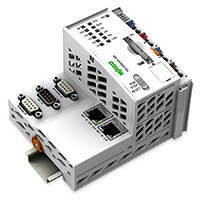 This module comes equipped with two Ethernet ports, as well as CAN and Serial interfaces. 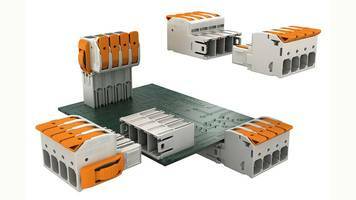 The PFC200 with PROFIBUS DP Master interface expands the application scope of the PFC200 family, extending its capabilities as a reliable and economical gateway between multiple fieldbuses. For additional information, visit www.wago.us. 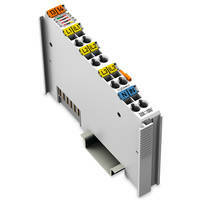 Contact WAGO at 1-800-DIN-RAIL or info.us@wago.com. 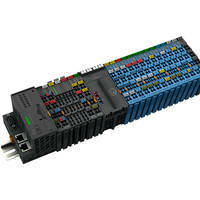 Wago's 750 Series XTR I/O Modules are protected against EMC interference. 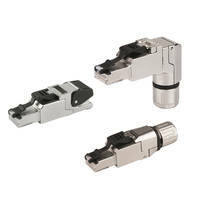 Cat 6A RJ-45 Connectors feature 360 degree shielding.